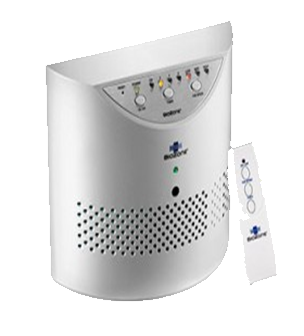 BioZone PR is a chemical free portable air and surface purifier that eliminates odours, bacteria and mould. The unit is easily carried around and used when and where needed. Volatile organic compounds (VOC): building decoration materials and furniture pollution (including formaldehyde and benzene, etc. ), chemicals volatile matter (such as pesticides, chemical cleaning agents), cigarette combustion products and all kinds of garbage odours.